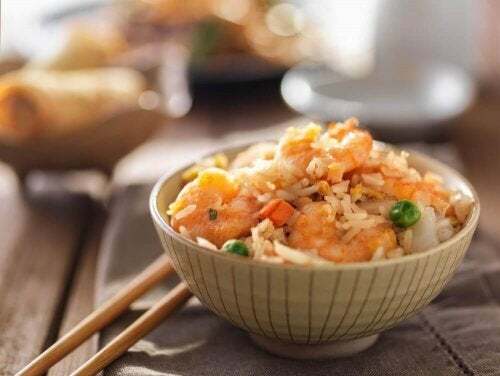 This article provides three easy to make rice recipes that you’ll enjoy if you want to add this ingredient more often into your diet or you just really like this cereal grain. Rice is the most-used cereal grain worldwide and is the perfect base for almost any kind of food. Therefore, continue reading and learn how to make these more rice recipes. This time you’ll learn how to make recipes that your friends and family will love. It’s amazing just how much a simple ingredient can surprise you. Finding the perfect balance between ingredients is always a challenge due to cultural factors or the kind of dish you want to make. However, one thing is certain, you can let your imagination run wild in the kitchen with rice. This recipe has Italian origins. You probably already know that the Italian word for rice is “risotto”. This dish has healthy nutrients and calories. It also has basil, an herb that gives it a very aromatic and fresh touch, which has a lot of antioxidants. It also has tomato, the favorite fruit of chefs in the kitchen. 1 medium onion (70 g). 1 tablespoon of salt (45 g). 2 medium tomatoes (120 g). 2 cups of white rice (200 g). ½ branch of basil leaves. 1 tablespoon of black pepper (45 g). 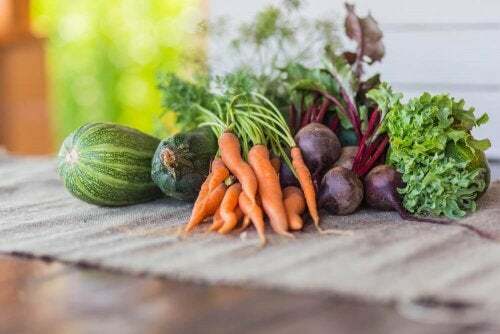 1 cup of vegetable broth (120 ml). 4 tablespoons of grated Parmesan cheese (190 g). On a cutting board, take out the seeds of the tomato, then peel and dice the tomato. Place a frying pan over low heat, add the butter and the onion cut into rings. Cook until golden brown. Now add the white rice. Next add the vegetable broth and chopped basil. Simmer for 7 minutes and don’t stop stirring. (This is very important). Immediately after the rice has finished cooking, add the tomato and grated cheese. Continue to cook over low heat, adding more broth if necessary. This is a well-known dish in almost all Latin American countries. 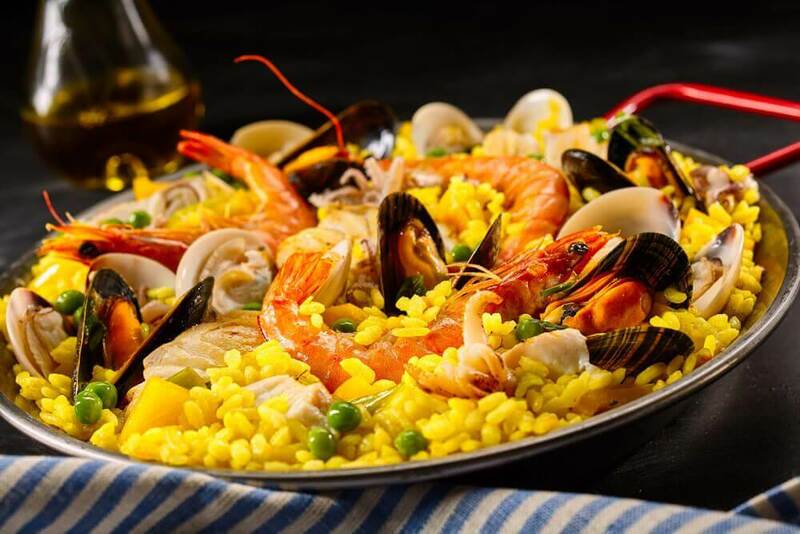 This twist on the traditional Spanish paella is different in every region (it’s prepared in coastal regions) and also depends on the ingredients used. If you don’t get why it’s called “Surf and Turf”, it’s because it combines seafood and white meat. 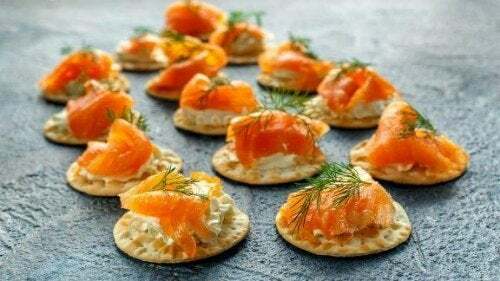 It’s the perfect combination of vitamins, minerals, proteins, and omega-3. ½ chicken cut into pieces (400 g). 4 medium Norway lobsters (120 g). 2 large tomatoes (200 g). 12 fresh mussels (125 g). 1 ½ cups of fish broth. 2 large cups of white rice (300 g). ½ tablespoon of sweet pepper (25 g). 1 tablespoon of garlic powder (25 g). 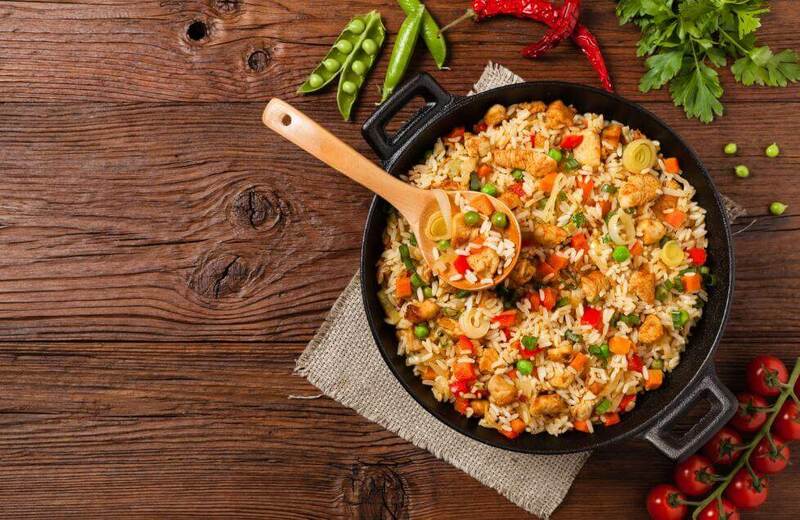 Heat oil in a frying pan and add rice. Then, sauté the prawns and Norway lobsters for 40 seconds and remove the heat. Next, sauté the chicken, squid, and mussels. Remember to keep on stirring. Be really careful with the squid. Keep stirring the ingredients for 3 or 4 minutes until they’re thoroughly cooked. Then, add the vegetables and sauté the tomato. Add the chopped garlic and pepper, stir everything together, and then add the fish broth. Let the rice cook for 20 minutes. Let it cool down a little bit and serve at room temperature. 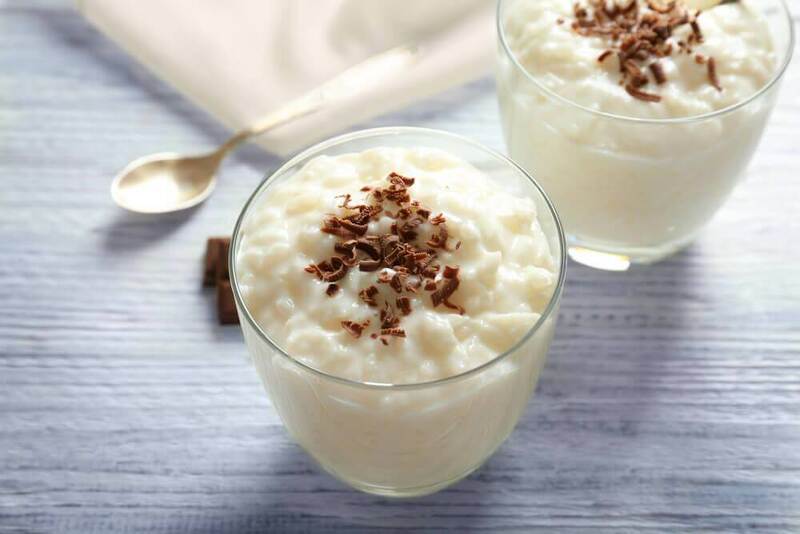 Did you know it was possible to combine rice, milk, and chocolate? Don’t worry about the sweetness because, if you use the right ingredients and eat the correct portion, you won’t gain weight. 1 tablespoon of sugar (100 g). 2 medium cups of white rice (200 g). 2 cups of whole milk (220 ml). 1 ½ tablespoons of cocoa powder (150 g). Pour the milk into a pot and stir over low heat (this step is important). If you want, add the lemon peel to give it a nice aroma. Once boiling, add the white rice and stir so it doesn’t stick. Then lower the heat a bit and let it cook for about 7 minutes. After making sure the rice is cooked, add the sugar and chocolate. Start stirring immediately and keep on stirring until the chocolate and sugar are thoroughly mixed. Finally, serve and enjoy. You can serve it warm or put it in the fridge and then serve it once cooled. 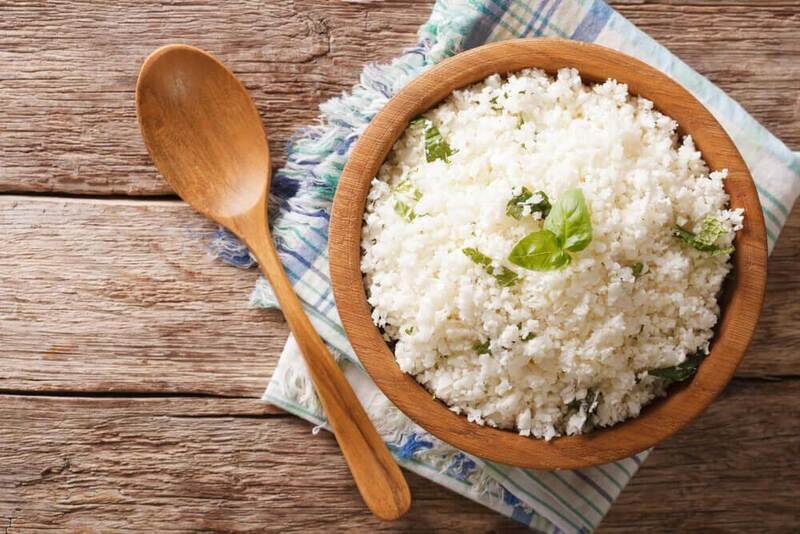 These three simple rice dishes are low in calories when made with the right ingredients and proper rations. There is no need to overeat to enjoy these recipes.